It’s been a roller coaster of a winter, or a really long spring with spurts of snow. Now that we see that snow begin to melt we see all of our rivers getting a big spike of water. Flows this week have been on a constant rise with all of the warm spring weather. And with a warm storm coming in at the end of the week all of the rivers are getting an extra shot of water to make room for all the incoming precipitation. But as we all know, fish love water! And with the rising spring temps come the bigger bugs. The skwallas really came out in force this week feeding those fat fish cheeseburgers all day. 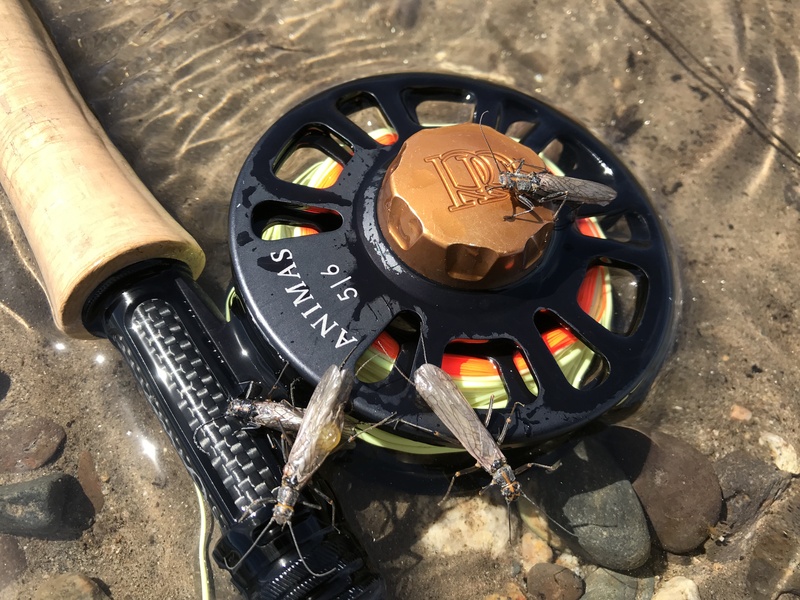 These big bugs are hard to pass up when presented so easily for the trout to feast. After eating tiny midges all season(french fries), the fish are more than eager to take in these bigger bugs. A real meal! So with all this water and rich source of food for our fishy friends there is no better time to get out searching for those monster trout. Don’t let the high water discourage you. Now is time.